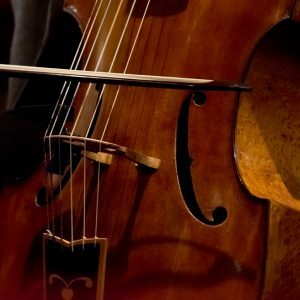 After 2008, when his first CD was issued on the Challenge label, the career of viola da gamba player Ralph Rousseau took off. 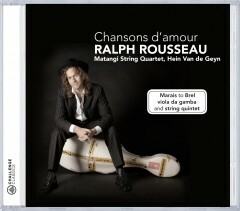 On that CD, ‘Chansons d’Amour’ he plays – with the Matangi String Quartet and bassist Hein Van der Geyn – French chansons ranging from Marin Marais to Jacques Brel. Chansons d’Amour has become a bestseller in The Netherlands and also in countries abroad Rousseau becomes more and more visible. Ralphs and Lenny’s cooperation began with the presentation of the cd Chansons d’amour, where Lenny was handed out the first cd officially and where she sang with Ralph and the string quartet Cent Mille Chansons of Frida Boccara. Lenny Kuhr had won the Eurovision Songcontest in 1969 and is a celebrity in the Netherlands. 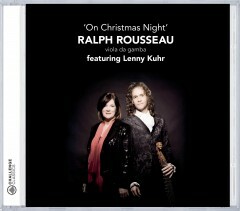 Ralph and Lenny have a musical chemistry and this is very clear on this cd. 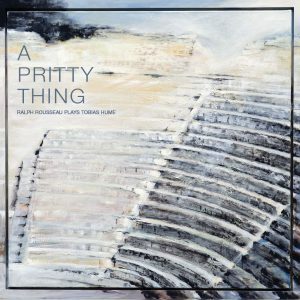 The most part of this cd is full of wonderful arrangements for solo viola da gamba, played by Ralph Rousseau. First Ralph made a number of English traditionals that were scarcely known in the Netherlands, songs like On Christmas Night all Christians sing and The Lord at first did Adam make. There was also an old Dutch song that almost nobody knew: Laat nu alle droefheid vluchten [Let Now All Sadness Flee]. When Ralph organized his own Christmas concert a couple of years ago with those traditionals alternating with Baroque pieces, which has since become his trademark, it was a success. 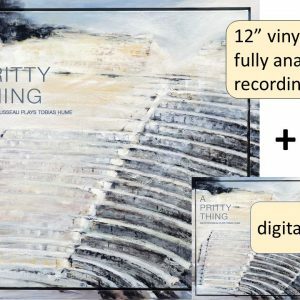 people started to ask for the material on cd. Some more solo-arrangements where made by Ralph and the cd was a fact. Lenny Kuhr: “We also have musical similarities. I very much want to ‘sing’ with the viola da gamba. It’s no accident that people in the 17th century said that the gamba, of all instruments, comes closest to the human voice. In addition, I love the song genre and want to convey emotion.” Lenny adds: “I’ve always loved the viola da gamba, even before I knew Ralph. The instrument immediately evokes centuries inside you, I think. And it clicked right away with Ralph and me; we are both delighted by each other’s talent.”Their pleasure at making music together is audible on this Christmas CD. The Christmas melodies on this cd have such purity, a directness that’s lacking in some classical music, an unspoiled quality. Everyone had to be able to sing the Christmas songs, so the melodies are simple, never getting too involved. It is this very quality that gives them that terse beauty that takes hold of you.